Participate in our photo contest during your free time! 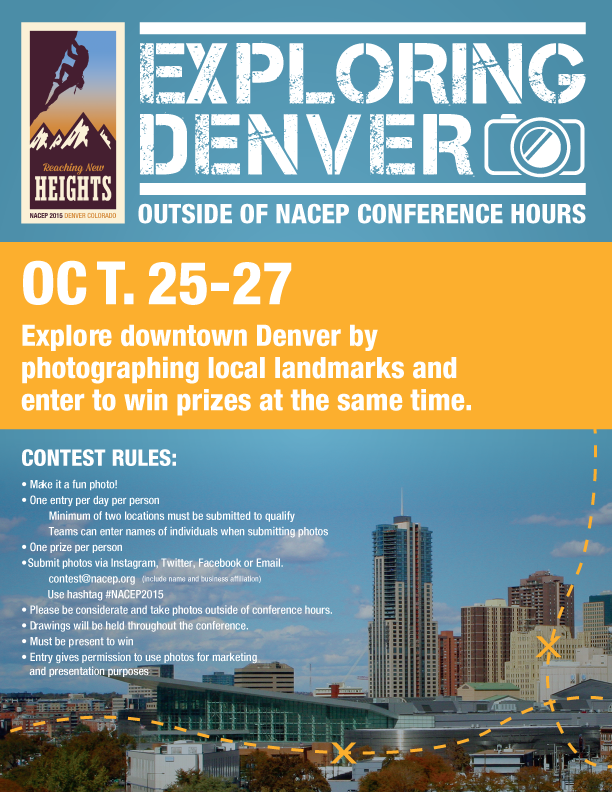 Explore Denver by taking fun group pictures with 60ft Tall Dancers, a Denver Bronco fan and many more local landmarks. Are you ready to be surrounded by the Rocky Mountains and see these city lights at night for a few days? 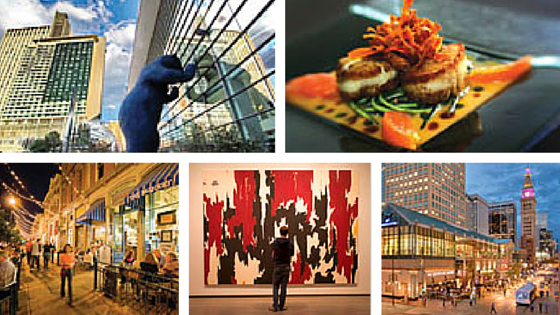 Most will attest that there's not a shortage of things to do in Denver, Colorado. 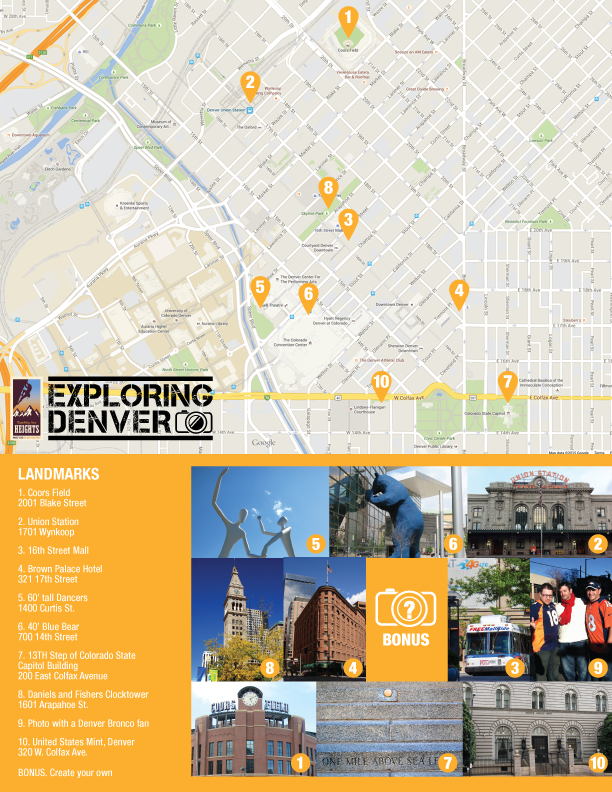 Start exploring now so you can spend your free time doing something fun during your visit in the Mile High City. Get the Denver mobile app for your IOS or Android device today! Timeout Denver suggests 20 Things To Do in Denver including dining, arts and culture and even day hikes. Read through this "good blog." Sign up for your own visitors guide. Why Denver is called the Mile High City? Here are some Mile High Tips to keep you feeling safe in the clouds.